This statistic shows net cost of coverage provisions contained in the Affordable Care Act (Health Care Law) from 2012 and 2022. Overall, the net cost between 2012 to 2022 will total to about 1.25 trillion U.S. dollars. 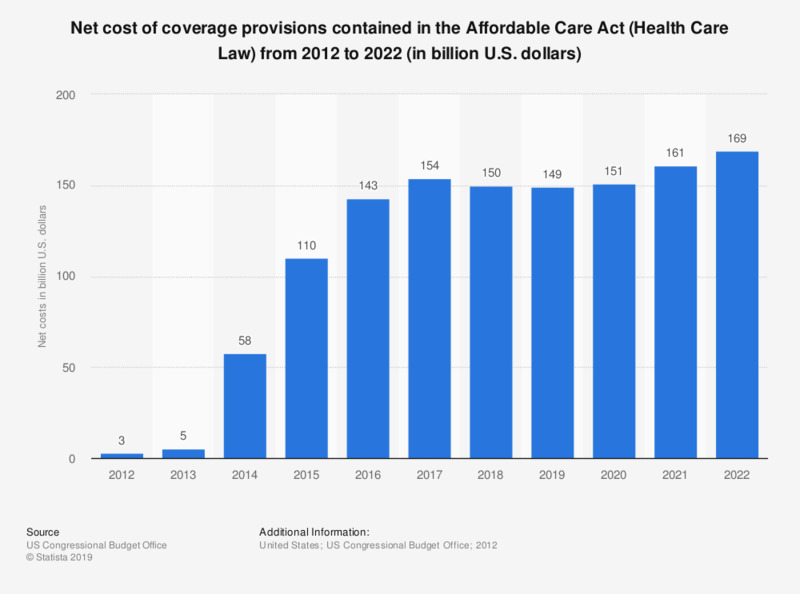 In 2013, the Affordable Care Act is projected to cost about 5 billion U.S. dollars.